« Why Stressing and Worrying Won’t Make You Safe. Let Go of the Things You Cling To. Today we ask that you let go of the things you cling to. Humans have a natural tendency to cling to the past. 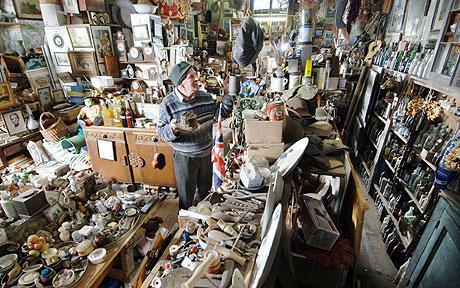 You hoard your little keepsakes and mementos, until your life becomes very cluttered. You want to keep the baby shoes, and the scrapbooks. But sooner or later, you will have to let go. Someday, you will die. At that point, someone — usually your relatives — will have the task of sorting through your possessions. If you have accumulated a lot of clutter, this will be an unpleasant task. A few things will be kept. Much will be thrown away. That is why it is healthy to let go, right now. Do not try to hold on to everything. Simplify your lives. Some people have the experiencing of seeing their home burnt down, or destroyed in a natural disaster. If you knew this was happening tomorrow, and could only take a few things, what would you take? It is good to live life in such a way that if your home burnt down, and you lost most of your possessions, you would not feel terrible devastation. It would be difficult, but not crippling. Perhaps in some ways it could even be liberating. The more you cling, the more painful the experience of life is. People who cling to their youth, experience pain around aging. People who cling to their children, experience pain as their children grow up and depart. The more people cling, the more they engage in destructive behaviors. They may disfigure themselves with plastic surgery in a futile attempt to stay young. They may parent their children in such a way that may harm their child’s ability to live freely and independently. Some people live in homes that are so filled with clutter, they can hardly move about. Some people live their whole lives this way. Stop clinging. Let go. It may seem frightening, but in truth it is much more painful to cling, than to let go. It is like ripping a Band-Aid off slowly instead of quickly. That it is more painful to cling than let go is especially true at the moment of death, which comes to all men, no matter how wealthy, famous, or powerful they may appear to be. The richest man in the world cannot prolong his life by a single day, if his time has come. It is good to die in every moment. Do not cling. Let go.